#MLBbetting: Cubs Are Alive, But Can They Close? You are here: Home / News / #MLBbetting: Cubs Are Alive, But Can They Close? Cubs Are Alive, But Can They Close? It looks like the Chicago Cubs just might make the playoffs after all. Their World Series defense was very much in doubt over the first half of the 2017 regular season, but with fewer than 40 games remaining, the Cubs (66-57, –18.23 betting units) are in first place in the National League Central. They made some changes before the July 31 non-waiver trade deadline, and they have until August 31 to pick up more playoff-eligible talent. Everything seems fine on the North Side. There’s still a big mountain to climb before the Cubs can hold their second World Series parade since Teddy Roosevelt was in the White House. They have only a slim lead over the Milwaukee Brewers in the NL Central, and even if they do make the playoffs, the Cubs will probably have to beat the mighty Los Angeles Dodgers just to win the pennant. At press time, the Dodgers are +225 favorites on the World Series futures market; Chicago has fallen to sixth on the list at +850. It would help the Cubs’ cause if they could find a couple more arms for their bullpen. They’ve got their starting rotation back on track with Jose Quintana posting a 3.97 FIP in seven starts since coming over from the White Sox. But Chicago’s relief corps (4.90 FIP) has been awful since the All-Star break, ranking No. 27 overall at –0.3 WAR. Things might even be worse than they appear, given their rather fortunate .264 BABIP. Only three other MLB teams have had more luck on balls in play. The Cubs definitely had the baseball gods on their side during last week’s series at Wrigley with the Toronto Blue Jays. Chicago’s bullpen nearly coughed up the lead in the first two games, then melted down during Sunday’s finale before Alex Avila scored a two-run single to win 6-5 in the bottom of the 10th. In all, Cubs relievers allowed six runs in 9.2 innings versus the Blue Jays, yet they still managed the sweep. Chicago still has one of the most potent offenses in baseball to go with their starting rotation, so it’s easy to overlook the bullpen’s foibles for now. But sharp bettors know how important relief pitching is, especially during the postseason. Who’s got the hottest bullpen right now? The New York Yankees (+1200), at +3.3 WAR since the All-Star break. They haven’t cut corners on the bullpen at this year’s trade deadlines. The Cubs had better not, either. Are you looking for a reputable site to bet on baseball? Check out our reviews, written by fellow sports bettors. Don’t get scammed, get informed. 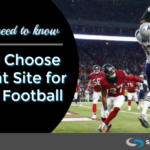 Sportsbook-Ratings.net is your guide for all-things online sports betting. Be sure to come back often for new reviews and recommendations.